There are around 70 million stray animals in the United States. Despite the fact that dogs and cats are some of the most popular pets, there is still an enormous problem with pet overpopulation. Luckily, there are many kind people who are working to lower the statistics surrounding pet homelessness by coming to the aid of animals in need. As Green Monsters, we are always ready to lend a hand – after all, you never know when a needy animal might just fall into your lap. Just take this story for example. 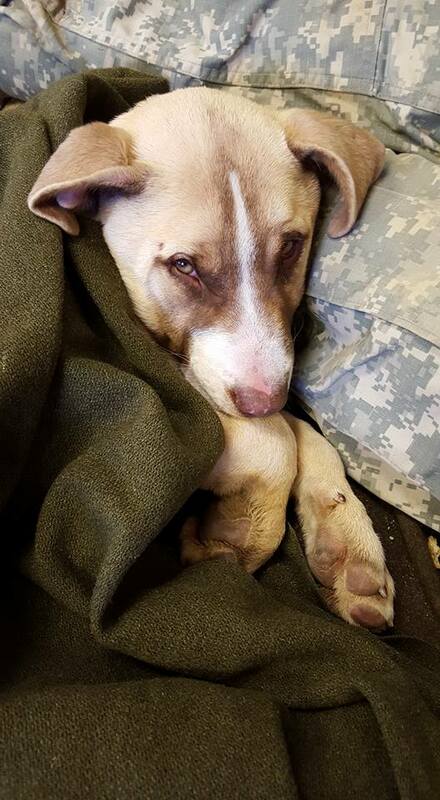 This five-month-old puppy was found on the cliffs of the Upatoi Bank, Georgia by three army officer candidates. He was howling for help all night and couldn’t walk on his own. When rescuers got to him, his breathing was labored due to an unknown injury. After they gave him some food and blankets, the pup was feeling better. But it was clear that a visit to the vet was in order. The vet diagnosed him with a non-comminuted tibial fracture (a compound fracture in his right leg). It was decided that the sweet pup would need surgery along with lots of meds and a cone! His real personality came out a few days after surgery. He became a happy, playful little pup who happened to have a knack for laying on top of people just like a cat would. 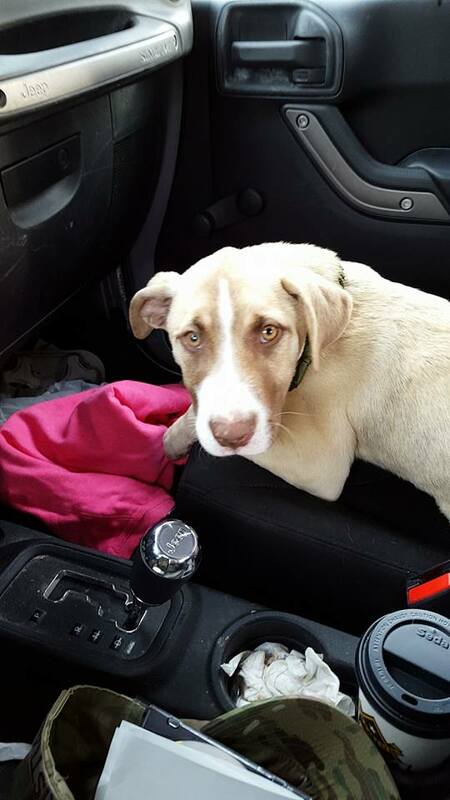 His rescuers later learned that he was abandoned with his brother out in the woods by their previous owner. Another good Samaritan was driving them to the vet and he jumped out of the back of the truck which caused the fracture. 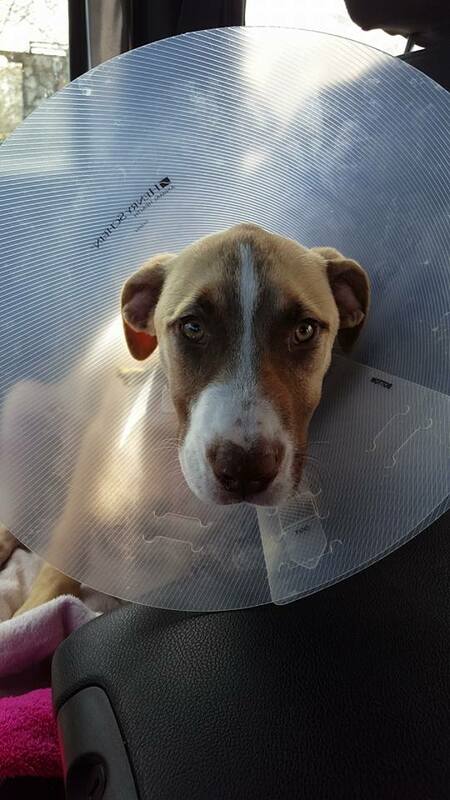 The surgery the dog needed cost a whopping $2,400 and the rescuers are currently footing the bill. You can help them out with payments by visiting their GoFundMe page. 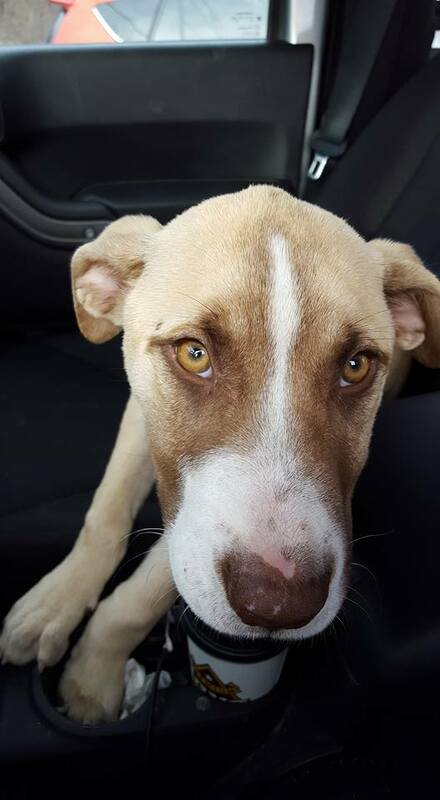 The puppy also needs a name, so you can send in a name suggestion with your donation! 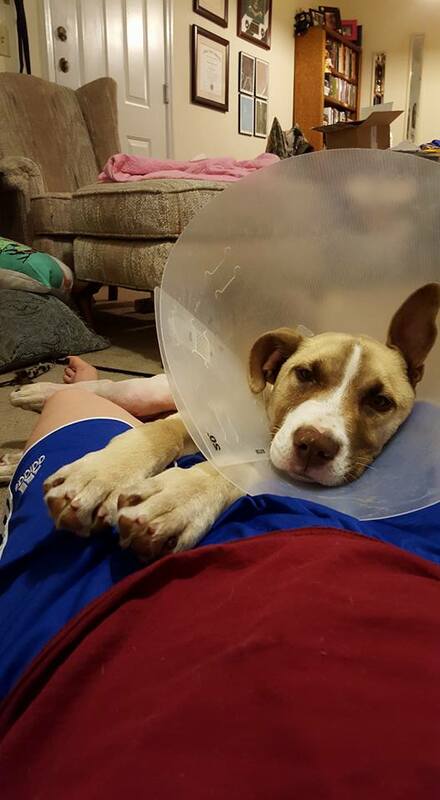 This pup is doing great at his new home thanks to the time, care, and the love he’s being given. He’s house trained, well behaved, and has an amazing spirit. 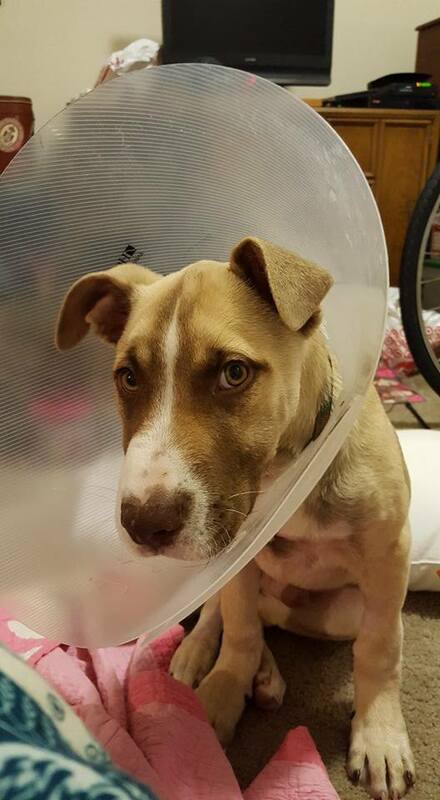 To help this little guy get the continued care he needs, share this post!